DELIVERS 4.5 CFM @ 100PSI; DOUBLE TANK (4 GALS.). 2 HP MOTOR REQUIRES 115V AC, 15 AMPS. 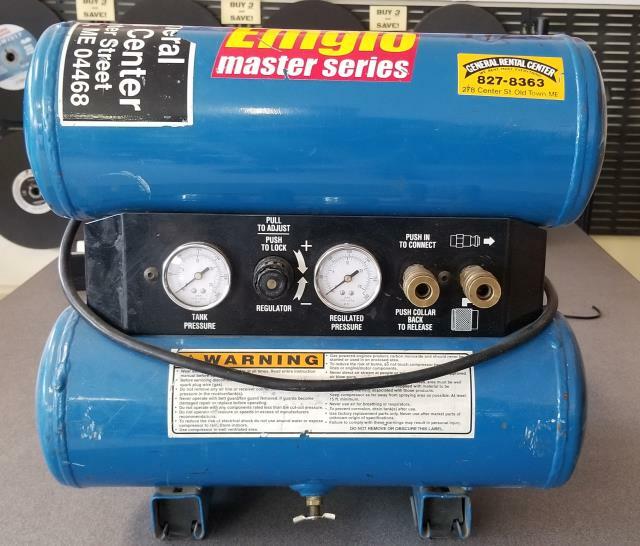 * Please call us with any questions about our air compressor small elec rentals in Old Town ME, Milford, Bangor, Pea Cove, Eddington, Bradley, Orono, Bangor ME.